Could someone please help me with the size and the length of my exhaust and inlet for my uds here is what I have. I cut a 2" hole in the lid for my exhaust, and 3 3/4" holes for inlet 2" up from the bottom of the drum. The length of the exhaust is in question. I must have been absent that day in school when we learned about exhaust lengths for our BBQ pits. My drum is a standard 55 gal. 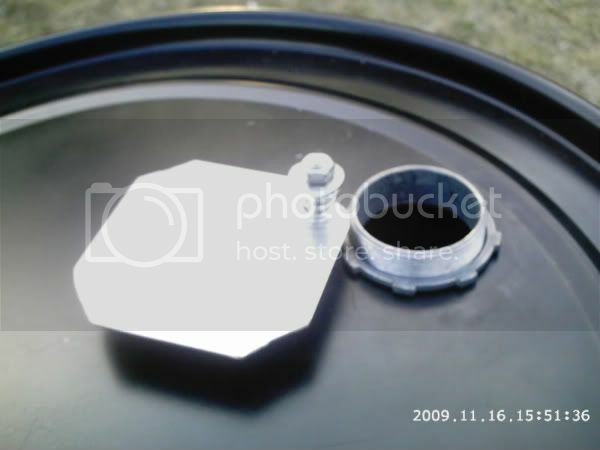 food safe drum. My exhaust is 24" tall. The draw seems to be ok and it will hold temp. The reason for the length, i used what i had. You don't need a stack on a UDS all you need is a 2" hole the body is the stack. BluDawg wrote: You don't need a stack on a UDS all you need is a 2" hole the body is the stack.